Without question, Rochester, New York's Best Bridal Shows. 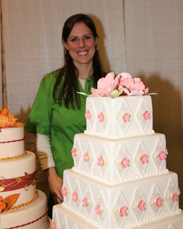 Rochester bridal shows are fun, exciting and informative! Plan the Rochester wedding of your dreams in one day. The largest bridal shows with Rochester's top wedding vendors and the latest, most spectacular bridal fashion shows all under one roof. Gather information and samples from the leading Rochester wedding professionals and find not only the wedding services and items you were looking for, but a whole list of exciting wedding possibilities you might not have thought of to make your special day even more spectacular. 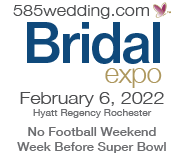 In addition to the wide variety of Rochester wedding professionals you will meet at the shows, we also provide every Rochester future bride attending the show with our Bridal Bag, filled with informative literature and special offers from numerous wedding professionals and service providers not exhibiting at the shows. Unique bridal fashion shows, free parking, door prizes, free samples, grand prize drawings and more! Print your FREE Rochester bridal show tickets today and see for yourself why these are the Rochester bridal shows you don't want to miss! This will avoid the long lines at registration. You can register for your FREE tickets on this site, Just click here or the Free Tickets tab at the top of every page. With numerous vendors and multiple unique bridal fashion shows, you should plan on an exciting day! Rochester Bridal Shows are all about asking questions and getting information. You might consider preparing a list of the top questions your are looking to have answered. Above all else, RELAX & ENJOY! Rochester bridal shows are very exciting and there is a lot to take in, but don't get overwhelmed ....relax and enjoy yourself... It's all part of your special day! Check out all of the latest trends and bridal fashions! The Rochester Wedding Expo, Rochester Bridal Expo and Rochester Bridal Fair always have exciting and unique fashion shows, showcasing the hottest trends from the top formalwear and bridal shops in the Rochester, NY area. Check out the latest wedding gowns, bridal party gowns, mothers gowns, flowergirl gowns and more. 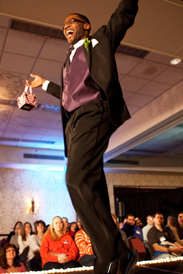 Find out what’s in style for tuxedos, floral arrangements, and accessories. In addition to the latest and greatest bridal fashion, you can also get great ideas for favors, centerpieces, and decorations. Talk with Rochester's leading wedding professionals, one-on-one! Be sure to talk with all of the vendors at these Rochester bridal shows, live and in-person. Meet with reception venues, wedding photographers, bakeries, retailers, dj's, limousine companies and much more all in one place... on the same day! 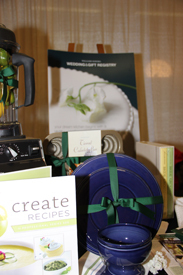 Consult with Rochester wedding vendors about their products and services. Do you find them pleasant to deal with? Do your personalities match? Can you see yourself working well with these professionals? Answer these and many other questions you have at one time, in one place... at Rochester's Largest Bridal Shows!